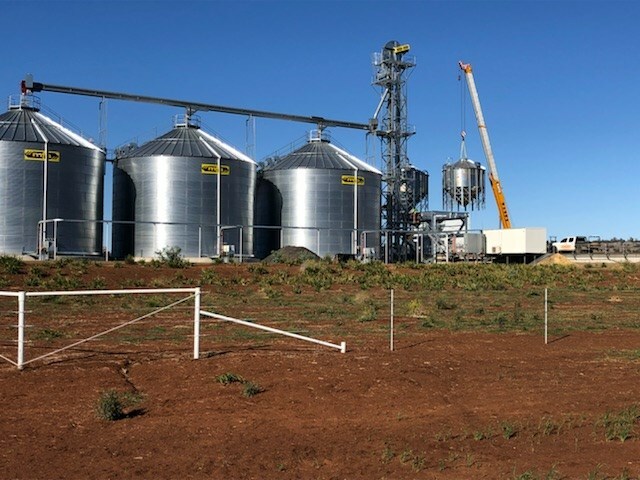 Allied Grain Systems was engaged by Coulton Farming, of North Star NSW, to design and construct an automated grain handling system that incorporated supply and commissioning of large grain storage and handling systems on their “Getta Getta” property at North Star NSW. Will from Coulton Farming is a fourth generation farmer and says that the North Star and Boggabilla regions have been used agriculturally for grain growing for more than 100 years now. 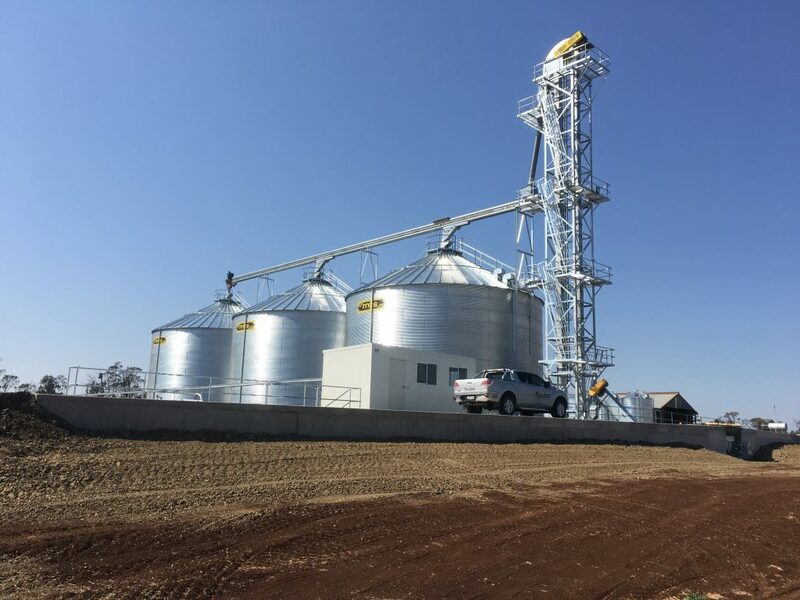 Will knows how important his mates in the grain industry are, which is why he relied heavily on their advice when deciding on a grain storage solution that was right for his 12,000 hectare property. With the help of his wife Trudi, parents Ben and Pru, and 14 full-time staff members, Will produces wheat, barley and chickpeas in winter and cotton and sorghum in summer. On top of this, the family farm also joins 900 Angus cows! 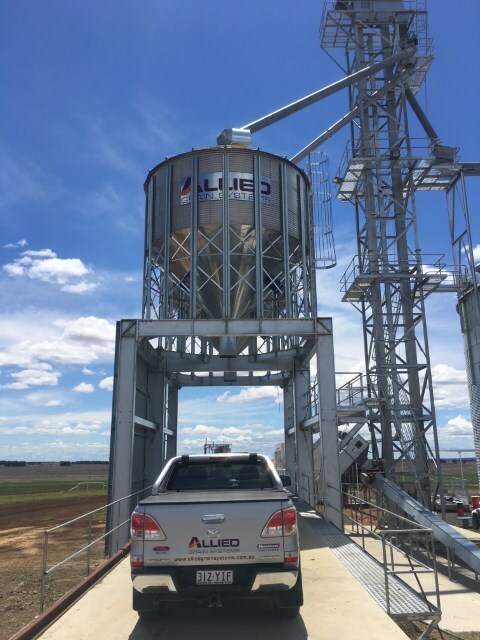 With Allied Grain Systems’ (AGS) new installation Coulton Farming can now unload trucks, load from their silos and blend grain at a rate of 260 tph on wheat. 260 tph drive-over truck hopper. 260 tph bucket elevator,24 metre discharge height. Bucket elevator structural tower 27m high. 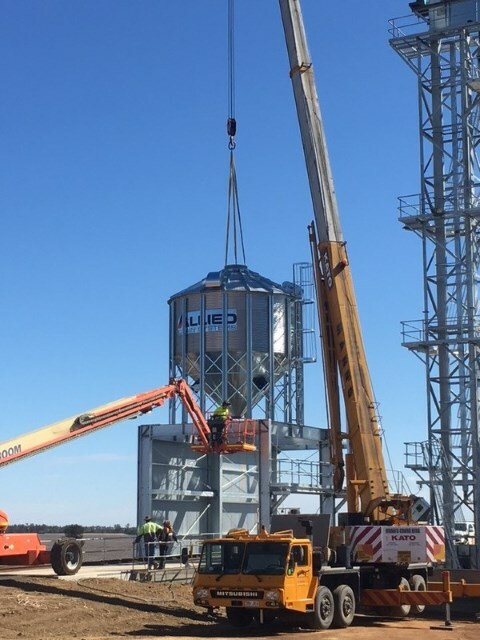 The Hutchinson double run grain pumps are designed to allow silos to be built without costly overhead walkways, as they are self-supporting, allowing access to outlet valves via silo roof access ladders. 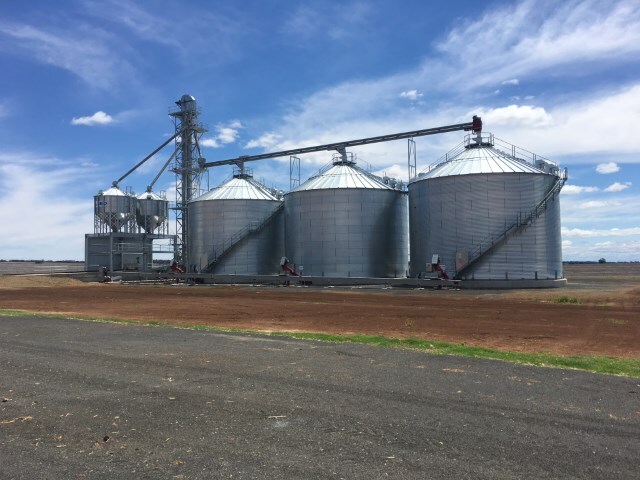 Coulton Farming’s new system enables it to reduce staff at harvest, as it is now only a push button operation to fill and empty silos and has been designed to allow easy expansion at a later date. 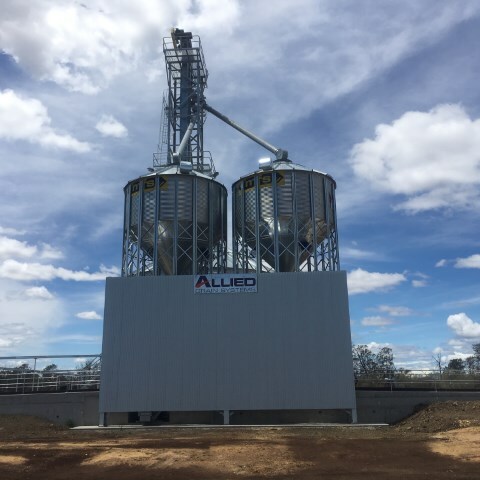 Sealed and aerated silos provide greater marketing opportunities to Coulton Farming, according to John White, director of Allied Grain Systems. Grain can be stored and preserved as effectively as possible, maximising the opportunity to reap top dollar. He explained that with an automated on-farm storage system, Coulton Farming is not beholden to the price over the local bulk handler.